Trying to puzzle through the book of Revelation? 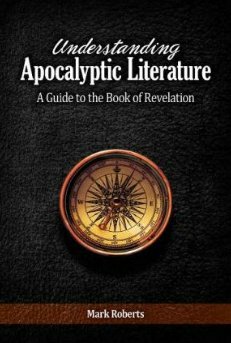 Then consider buying my book “Understanding Apocalyptic Literature: A Guide to the Book of Revelation.” Revelation offers so much … if we just understand the framework it is using to communicate divine truths. The book is different from most books on Revelation because it takes the approach that understanding the kind of material Revelation represents is fundamental to reading it as the original audience did. Come and learn about that genre! Order from the Florida College bookstore by calling 800-423-1648 from 9 AM to 4 PM (EST) Monday – Friday. UPDATE: It’s been a while since I’ve been here since I started Pressing On magazine, a new e-zine for Christians who want to follow Christ more effectively. Go to www.PressingOnMagazine.com to see a sample issue or subscribe. This new magazine is exclusively electronic – ready for your Kindle, Nook, iPad, iPhone or other electronic device. Come and see! For quite some time I have toyed with the idea of starting a blog. It would be a place where I could send up a few trial balloons on a project I’m working on, talk about the Scriptures, or comment on life as I see it from the perspective of a preacher and the Bible. One of these days … I’d think. One of these days is here. Today I’m beginning a blog that will give me an opportunity to work on material for my new book, The Second Marshmallow (more on that to come), talk other material I’ve written, and tell folks where I’ll be speaking so I can see you personally! Leave a comment and tell me what you’d like this blog to be and I’ll see if we can’t head in the same direction together. Welcome aboard … welcome aboard Mark Roberts’ blog!